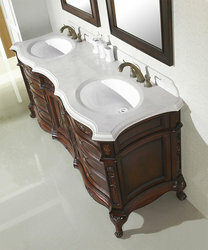 Cambridge II Double Sink Vanity Set 74.5"
Cambridge II Antique Vanity - Double Sink Vanity Set 74.5"
100% Solid Oak wood hand carved Antique Bathroom Vanity Set with Natural Marble Top & Mirror. 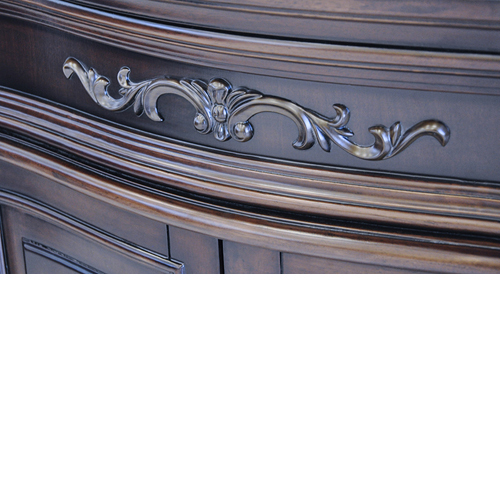 Top quality luxurious antique style double sink vanity set including beautiful thick marble top and elegant matching mirror. 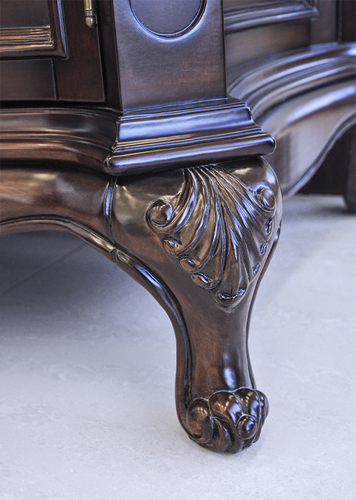 Our antique vanity collection is carved by hand from solid oak wood that has been seasoned for many years to ensure durability and longevity. 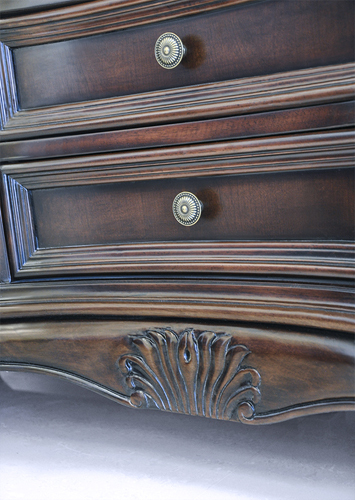 This antique bathroom vanity wooden cabinets depicts exquisite details and unique craftsmanship. 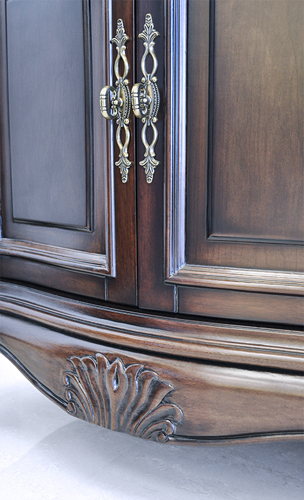 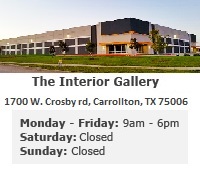 Each wooden cabinet is coated to perfection as a result a of multi-process seven-layer top paint finish.